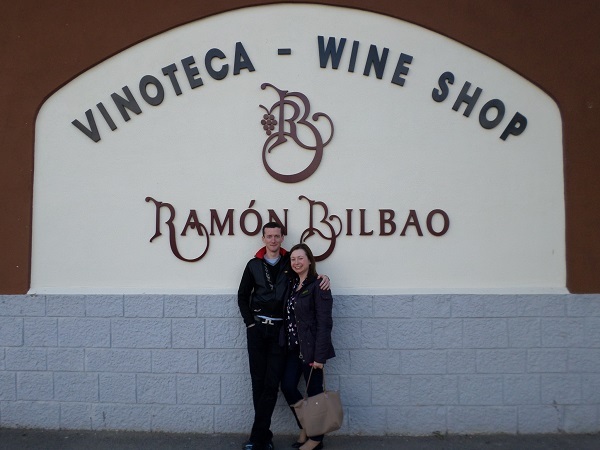 Ruth and I first visited Ramón Bilbao just as tourists in 2014, when visiting Haro the first time. 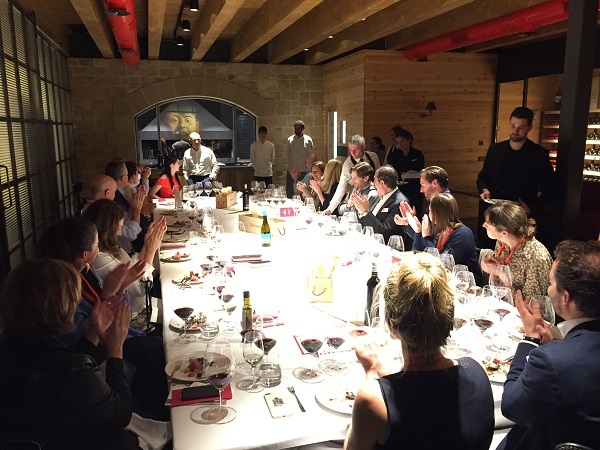 In 2018, by random allocation, we were back at the bodega on the outskirts of Haro for dinner on the Friday evening of the IMW Symposium, along with 16 other guests (around 20 bodegas were hosting the 450 delegates in separate groups). We noticed immediately that the winery had undergone a reworking, with a revamped reception and enlarged visitor centre. 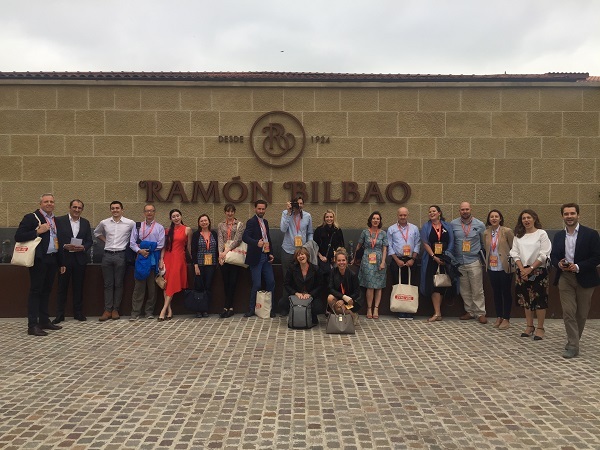 In 2018, we were hosted by Rodolfo Bastida, Chief Winemaker and for the Zamora Company, the current owners of Ramón Bilbao, along with Rías Baixas and Rueda wineries. 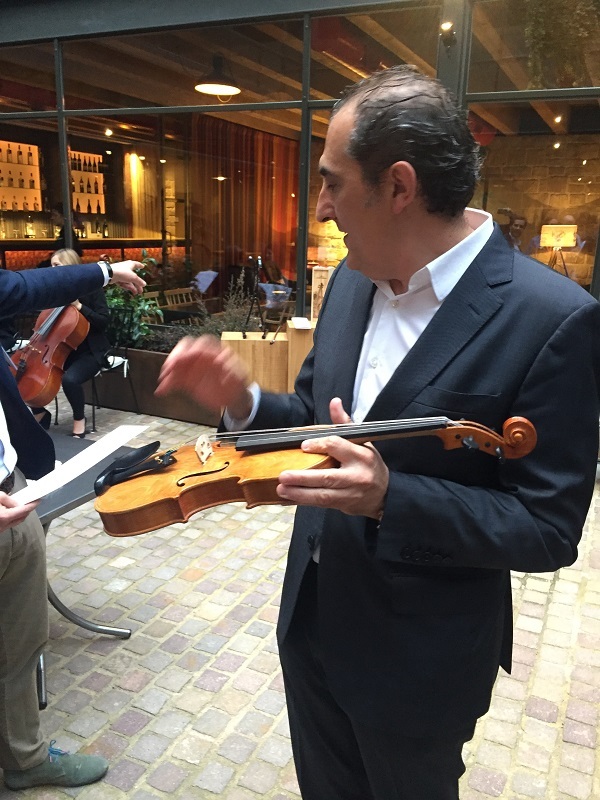 He was joined by Alberto Saldón, their Wine Innovation and Communications manager. We had an interesting structured tasting of barrel samples to understand the work they are doing to explore altitude as a counterbalance for climate change, followed by an excellently cooked dinner by their chef and catering team. This profile is a combination of these various visits, including tasting notes from the range of Rioja and Rueda wines encountered then. As an aside, it was another opportunity to compare how consistently I evaluated these wines, when they overlapped between separate occasions. I’m glad that this was generally high (Gran Reserva 2010 17.5 and 17.5+; Mirto 1999 17 and 17+; Rueda Lias 2016 16.5 and 16.5), albeit with some differences with assessing Mirto 2012 (16 and 17 / 20). Ramón Bilbao was founded 1924 in Haro, capital of Rioja Alta. 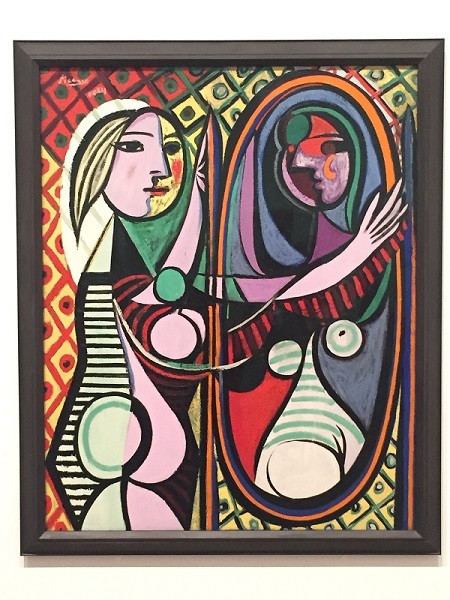 After sale by Ramón Bilbao’s widow to another family, the company was acquired In 1999, by Zamora Company, better known for owning Licór 43 (Cuarenta y Trés). This was as part of diversification strategy by Zamora. At that stage and onwards, Zamora also invested in new vineyards and winery technology. 2016 saw the purchase of Finca Las Amedias to establish their own Rueda estate and winery. As much as their style has modernised, which was clear from tasting a range of wines, this brand position is led by their Crianza which represents 70% of their total 4m bottle production and sales. For the domestic market, this spends longer in American oak to meet expectations of a more traditional style. For export, whose principal markets are the US, UK, Switzerland, Netherlands and more recently Mexico, more fruit is desired, so ageing is shorter. The upgrade of the visitor centre is a contribution to the brand’s positioning. 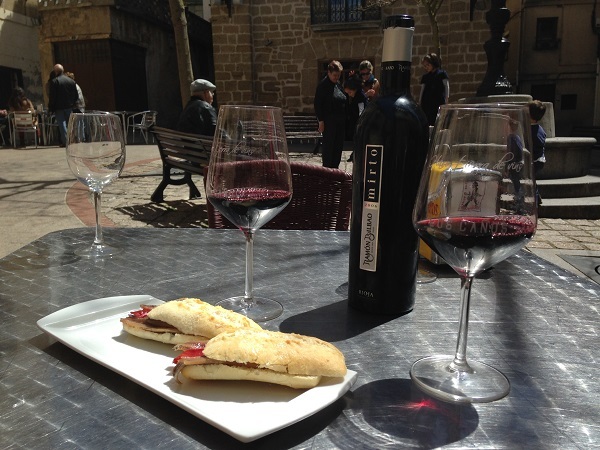 Wine tourism has apparently been growing in Spain, especially in the traditional regions of Jerez and Rioja. 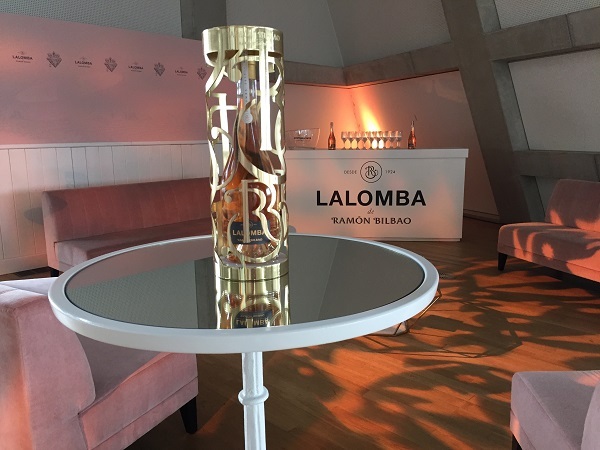 Ramón Bilbao were receiving 12,000 visitors a year (which makes for an interesting comparison with El Fabulista in Laguardia), so invested to ensure a high-quality experience for consumers. As they are competing for visitors with 15 other bodegas in Haro (and are not in the famous Barrio de la Estación district) they needed to offer the best experience, which includes virtual reality. They now employ 6 full-time tour guides to ensure tours are typically for 15 people and maximum 25, with a view to building strong consumer connections to the brand and transform them into ambassadors. Most are from Spain, especially Northern Spain and the Basque country, plus Madrid, but 22-23% are from outside Spain. Ramón Bilbao have 4 vineyards in Rioja Alta, with 2 vineyards in Rioja Oriental. These total 180Ha, providing 30% of grape requirements, with 200Ha under long-term (10+ year) leases that are farmed by Ramón Bilbao. As a result of plot fragmentation, acquiring sufficient vineyards to cover all their production needs is very difficult. Over 2 generations, harvest dates have moved forward by 1 month because of climate change. As a result, avoiding leaf-plucking and re-orientating rows from North-South to East-West are both being done to reduce Sun exposure and moderate ripening rates. But above all, Ramón Bilbao are looking increasingly to higher-altitude, mountain vineyards to seek more freshness at phenolic ripeness, through lower pH. As a side-benefit, this also means lower SO2 needed to yield the same required molecular SO2 to protect the wine. Growing temperatures are up to 5°C different in Lalomba, Rioja Alta at 720m or Villalba at 650m vs. Alfaro in Rioja Oriental at 260m, yielding better phenolic ripeness at lower sugar content. Moreover, diurnal temperature ranges are up to 15°C, especially in September and October for harvest time. Aspect can be added to this, as mountain ranges to both North and South can give South and North-facing aspects at similar (650m) altitude in 2 of Ramón Bilbao’s vineyards. Further, UV intensity at 750m is +12% vs sea level and +8% vs. 250m altitude, giving thicker, darker-coloured skins. Additionally, the prevailing North Westerly winds that funnel down the Ebro valley from the Bay of Biscay are stronger at higher altitude again ventilating and cooling the grapes, as well as encouraging thicker skins. Finally, soil composition is rockier, with far less sand and clay that are washed down into valleys. Coupled with necessarily smaller parcel sizes, these will drive different viticultural practices as well as changes in vinification – such as smaller vats for smaller plot vinification and pre-fermentation macerations over post-fermentation to manage tannins. Higher altitude Tempranillo gives more floral and red fruit character, while Garnacha gives more tannins and colour, with more jelly fruit character. Other viticultural enhancements include using aerial colour photography and other techniques to facilitate precision agriculture, particularly for grape maturation and harvest timing, but also for vigour management. Fermentations are now kept separate by parcel and variety, with picking done by village area and fermentations kept separate, village-by-village – typically in tronconic-shaped, temperature controlled vats. Total maceration times are longer, including pre-fermentation maceration. Wines have more body and volume. New processes such as small, French oak vat fermentation and use of delestage for special wines have been added. No filtration or clarification now take place. They are also testing small concrete vats, paying attention to the sand and stones being used to make the vats. These are unlined, to allow some oxygen exchange during fermentation. 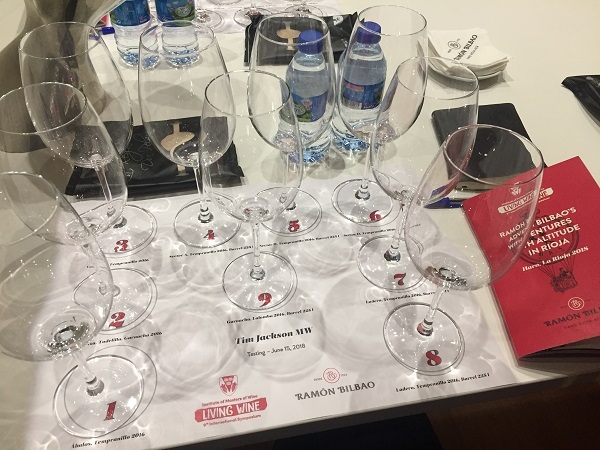 Their research extends to yeasts, isolating strains to understand how to give more personality to the wines, particularly the Rueda and Rías Baixas whites, but also for the Rioja red wines. In maturation, ageing periods are extended, but using more oxygen through racking, French oak and new oak are both now in greater proportions, with total barrel stock being around 60% American and 40% French oak. Combined with riper, richer fruit, this delivers the ‘modern’ style. 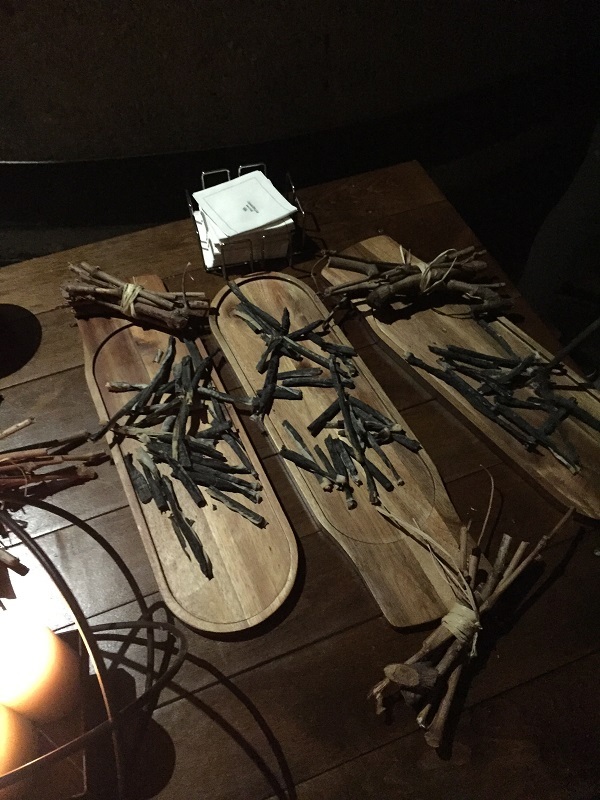 When we visited in 2014, these were kept in separate cellars, which made a fascinating point in the visit: upstairs, the American oak cellar smelled of vanilla-cream and coconut, while the downstairs French oak cellar was cinnamon and clove dominated; a useful sensory education! Ramón Bilbao partnered with another company in 2007 to make Rueda, but in 2014 decided they needed to make their own wines with their own winery. Rueda is a 700-800m plateau of 13,000Ha with an extreme continental climate and poor, stony soils. Ramón Bilbao bought 60Ha and spent 2 years researching the soils across the different parcels in Finca Las Amedias, before planting. 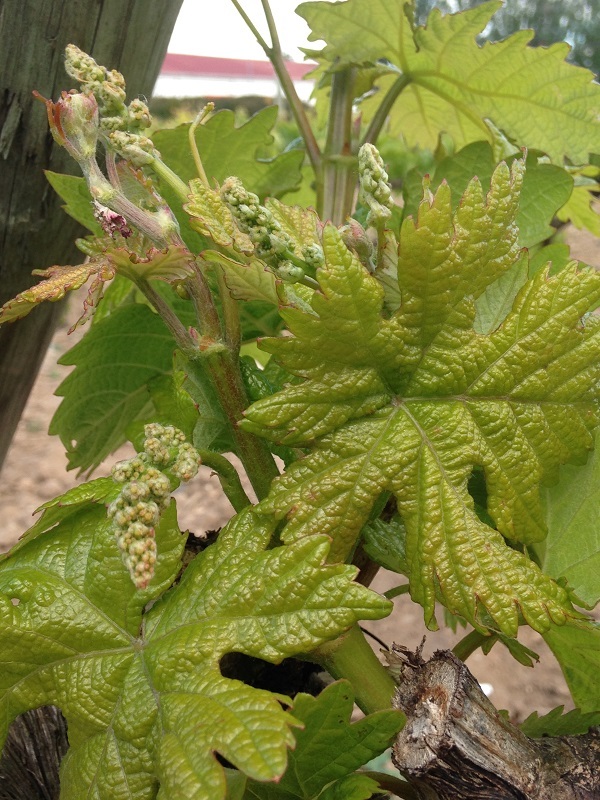 There were a small number of old vines already planted, but the majority of plantings are virgin. 77 soil pits were dug, and data gathered on water levels, water retention etc. Soil types were mixtures with and without calcium carbonate; sandy and stony. Sauvignon Blanc was planted in the more sedimentary area to the East of the bodega with more water retention, with Verdejo in the sandier, stonier soils with more drainage to the West. The new vines will be 3 years old in 2018 and start commercial production. The new winery has been built with capacity to make the wines in concrete, large oak foudres, small barrels (French, American and Hungarian) and stainless steel. Stainless steel is easy for temperature control and hygiene. Concrete adds oxygen which can open aromatics. Foudres also add oxygen, but flavour too. Wines are made by Sara Bañuelos, the dedicated winemaker for the Rueda estate. 100% Tempranillo from 27Ha at 700m on South side of Sierra de Cantabria, with sandy, decomposed sandstone soils, planted in 1930. Fermented in French oak vats. 10 months in new 225L French oak. pH 3.46, <2 g/L RS, 14.2% ABV. 100% Garnacha from North-facing 10Ha at 650-700m in a Mediterranean mountain clearing, with stony soils, planted in 1969. Fermented in French oak vats. 8 months in new 225L French oak. pH 3.35, <2 g/L RS, 14.35% ABV. 100% Tempranillo from 13Ha at 650m on South side of Sierra de Cantabria, with sandy, decomposed sandstone soils, planted in 1942. Fermented in French oak vats. 6 months in new 225L French oak. pH 3.44, <2 g/L RS, 14% ABV. 100% Tempranillo from 5.4Ha at 520m, with conglomerate soils containing 47% sand, 35% limestone and 18% clay, and low organic matter. Sector A planted in 1974 to Garnacha and Tempranillo – first plot on the estate, with lowest aeration. Tempranillo harvested at 4.1t / Ha, then fermented in concrete vats. 7 months in new 225L French oak. pH 3.39, <2 g/L RS, 14.3% ABV. 100% Tempranillo from 19Ha at 540m, with conglomerate soils containing 44% sand, 40% limestone (with high active lime content) and 16% clay, and low organic matter. Sector D planted in 1978 to Tempranillo, with good water retention. Tempranillo harvested at 4t / Ha, then fermented in concrete vats. 11 months in new 225L French oak. pH 3.46, <2 g/L RS, 14.45% ABV. Same fruit as Sector D Tempranillo 225L above, but 11 months in new, half-barrique 112L French oak. MLF in barrel. pH 3.46, <2 g/L RS, 14.45% ABV. P: Dense, ripe blackberry fruit. Firm to high, powerfully-chalky tannins – gum puckeringly dry. Fair length. Needs a lot of time! 100% Tempranillo from 6Ha on a steep slope at 720m, with conglomerate soils containing 63% sand, 22% limestone and 15% clay, and low organic matter. Planted in 1988 to Tempranillo, with low productivity. Tempranillo harvested at 3.2t / Ha, then fermented in concrete vats. 9 months in new 500L French oak. pH 3.37, <2 g/L RS, 14.4% ABV. Same fruit as Ladero Tempranillo 500L above. 9 months in new 225L French oak. pH 3.37, <2 g/L RS, 14.4% ABV. 100% Garnacha from 7Ha at 556-600m, with conglomerate soils containing 50% sand, 35% limestone (but very low active lime) and 15% clay, and low organic matter. Planted in 1988 to Tempranillo and Garnacha, with higher water stress. Garnacha harvested at 4.2t / Ha, then fermented in concrete vats. 8 months in new 225L French oak. pH 3.23, <2 g/L RS, 14.6% ABV. Magnum. Served as an aperitif for welcome and visit, before masterclass. 90% Garnacha, 10% Viura. <2 g/L RS. Made to be a traditional style Rioja rosé for gastronomy. Concrete then Hungarian oak maturation, followed by assemblage in French oak foudres. 90% Tempranillo, 10% Mazuelo and Graciano. American oak maturation. 100% Tempranillo. Same village as 1999. 70 year old vines. Bunch selection. Medium toast barrels, matched to the lightness or richness of the vintage. Mainly Tempranillo, with 10-15% Viura, and Garnacha and Graciano. Just 12% ABV. From 40Ha owned vineyard, planted 2015 and a contracted, controlled 60Ha, gravelly vineyard at 770m. pH 3.3, <2 g/L RS, 12.5% ABV. Stainless steel fermentation. 3 months on lees. N: Some boxwood pungency and fresh leaves, but notable guava and cream. From 20Ha owned vineyard, planted 2015. Sandy-gravel at 770m. 1/3 each stainless steel, foudres and concrete. 6 months on lees. Believes the style is more like Graves. pH 3.25, <2 g/L RS, 13% ABV. 10% of vines in the region are now Sauvignon Blanc, but only 3% labelled as such. 5Ha, owned gravel plot, planted in 1999. 2nd use foudres, so still giving oak aromatics. 6 months on lees. pH 3.23, <2 g/L RS, 13% ABV. 5Ha, owned gravel plot, planted in 1999. Fermentation and 8 months’ ageing in 4,100L tulip-shaped concrete vats. pH 3.23, <2 g/L RS, 13.1% ABV. 5Ha, owned gravel plot, planted in 1999. Fermentation in concrete then 8 months’ ageing in new French oak barriques. pH 3.2, <2 g/L RS, 13% ABV. 5Ha, owned gravel plot, planted in 1999. Fermentation in concrete then 8 months’ ageing in new Hungarian oak barriques. pH 3.2, <2 g/L RS, 13% ABV. Rodolfo believes that Hungarian oak and concrete vats are likely to be the future for Verdejo production. Assemblage of Verdejo planted in 1999. Concrete fermentation then 8 months in French and Hungarian oak, on lees. pH 3.22, <2 g/L RS, 13.8% ABV. Excellent vintage for the region. 73% Tempranillo, 15% Garnacha, 5% Mazuelo, 2% Graciano, 5% Viura (permitted until 1999). Viura co-fermented. Concrete vat fermentation then 20 days skin maceration. 42 months in American oak. pH 3.35, 12% ABV. Very good vintage for the region. Mainly Sierra de Cantabria fruit. 80% Tempranillo, 7% Garnacha, 6% Mazuelo, 4% Graciano, 3% Viura. 39 months in American oak. pH 3.45, 12.5% ABV. 90% Tempranillo, 7% Mazuelo, 3% Graciano. 36 months in American oak. 5.7 g/L TA, <2 g/L RS, 13% ABV. 80,000 bottles produced. Single village, single fermentation vat from Villalba at 650m, planted 1942 and 2005. 13Ha at <2t / Ha to fill 18kL vat. 100% Tempranillo. Fermentation in French oak vats, followed by MLF in 50 new French oak barriques of M and M+ toast, from Seguin Moreau and Radoux, with batonnage. 6.6 g/L TA, 2.2 g/L RS, 13.7% ABV. 14,404 bottles and 620 magnums produced. Excellent vintage throughout Rioja. Vineyards in Briones and Abalos at 450-700m. 55-60 year old vines. 90% Tempranillo, 7% Mazuelo and 3% Graciano. 2 days cold maceration. Short, 8-day fermentation, followed by 9 days’ maceration on skins. 36 months in Ohio and Missouri American oak, from Martin and Demptos coopers. 5.5 g/L TA, 2.1 g/L RS, 14% ABV. 115,000 bottles produced. 100% Tempranillo from 27Ha vineyard in Abalos at 700m altitude, planted 1930 and 2002. Fermentation in French oak vats. 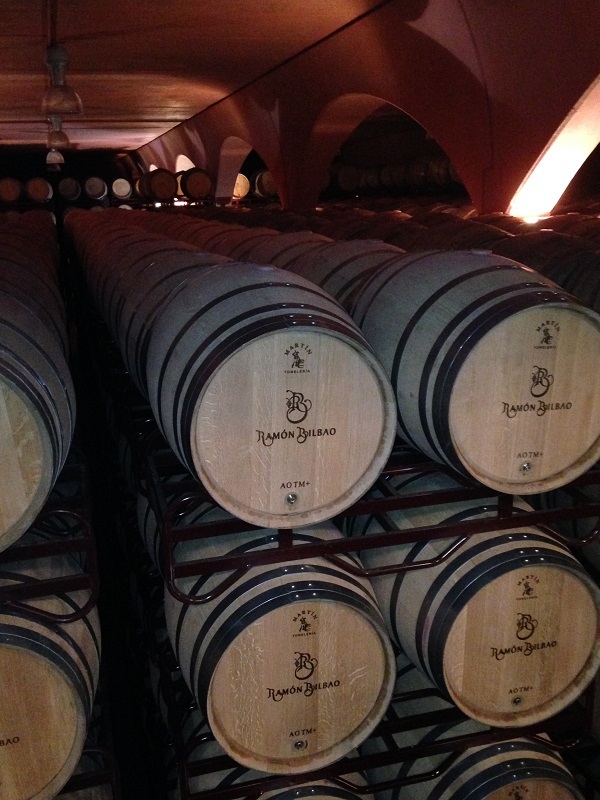 MLF in 124 new French oak, M and M+ toast barriques from Seguin Moreau and Radoux, followed by 24 months’ ageing. 5.6 g/L TA, 2 g/L RS, 13.6% ABV. 36,000 bottles and 620 magnums produced. Vineyards in Briones and Abalos at 450-700m. 55-60 year old vines. 90% Tempranillo, 7% Mazuelo and 3% Graciano. 2 days cold maceration. Short, 8-day fermentation, followed by 9 days’ maceration on skins. 36 months in Ohio and Missouri American oak, from Martin and Demptos coopers. 5.3 g/L TA, 2 g/L RS, 14% ABV. 115,000 bottles produced. Current release in UK at £22.50 / bottle. 100% Tempranillo from 27Ha vineyard in Abalos at 700m altitude, planted 1930 and 2002. Fermentation in French oak vats. MLF in 124 new French oak, M and M+ toast barriques from Seguin Moreau and Radoux, followed by 24 months’ ageing. 5.8 g/L TA, 2 g/L RS, 13.8% ABV. 36,000 bottles and 620 magnums produced. 2012 is current release, at £39.50 / bottle in UK. Deliberately served cooler than in the tasting. First commercial wine made with grapes all from vineyards over 600m in altitude. 50% Tempranillo and 50% Garnacha. French oak vat fermentation followed by 14 months in new French oak. 100% Tempranillo. French oak vat fermentation. 2 years in new French oak barriques without racking. 2012 is current release, at £39.50 / bottle in UK. 90% Tempranillo, 10% Mazuelo and Graciano. 90% Tempranillo, 5% Mazuelo, 5% Graciano. P: Supple, ripe, cranberry and black cherry. Smoky oak spice. Quite bright acidity. Spicy, peppery, medium tannins. Quite long. Youthful, but a little under-ripe?